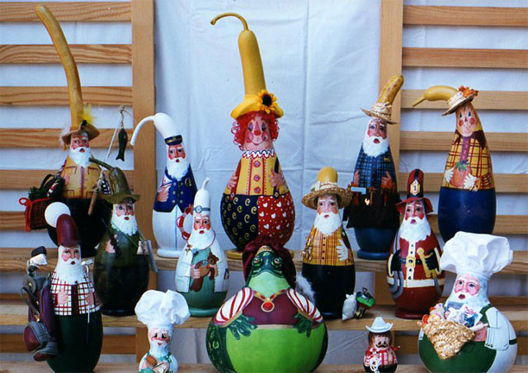 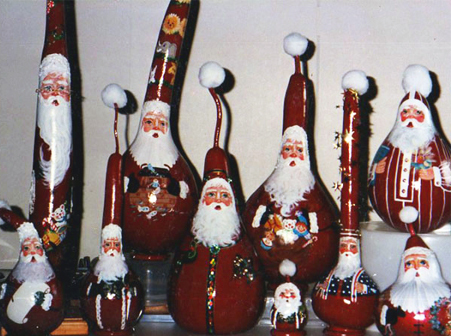 Farmers, Santas, cooks, clowns, and golfers are just a few of the happy gourd people Elizabeth Scesniak makes with brightly painted faces and clothing, and accessories to match. 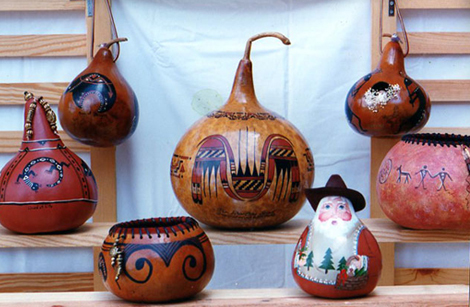 She has been decorating gourds since moving to Arkansas in 1970s, and has turned her love of gourd art into a craft others can learn through a series of published books. 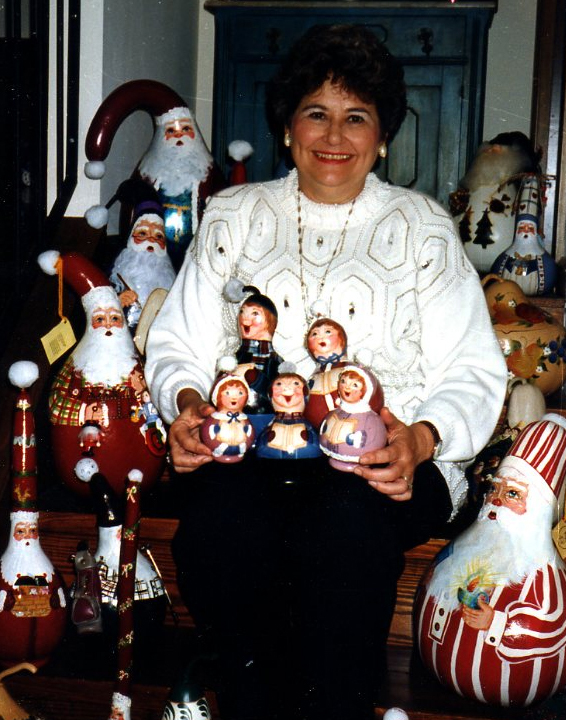 She incorporates indigenous designs from the American Southwest to create pieces reminiscent of Native American works. 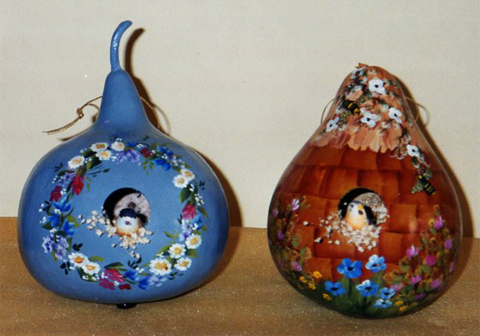 Her colorful bird houses are nice addition to any back yard, or can find a place inside complete with gourd birds.